The fair maintain was attended by 4,000 trade visitors from 30 countries who gathered information about new products and service trends. All in all 221 exhibitors presented non-sector-specific solutions for the repair, maintenance and inspection of plants and machines. 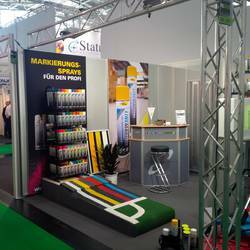 MOTIP DUPLI presented everything about the high quality COLORMARK marking concept and chemical-technical problem solvers from our strong brand NICRO. We thank all visitors for their interest and the interesting discussions.